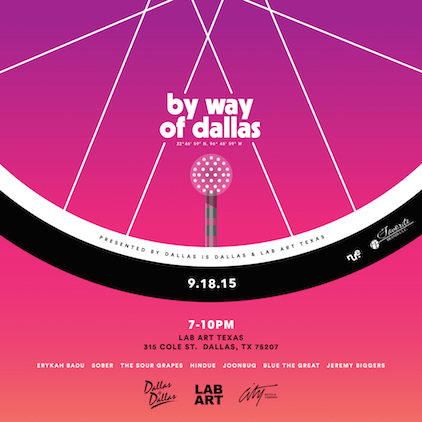 Creative collective Dallas is Dallas has teamed up with City Bicycle Co. and street art gallery LAB ART to celebrate the city at their first show, By Way of Dallas, this Friday at LAB ART’s Texas location. The event will run from 7-10 pm and feature bikes painted by seven hand-picked artists who are “by way of Dallas,” including songstress Erykah Badu, Blue The Great, Jeremy Biggers, Joonbug, Sober, The Sour Grapes and Hindue. For more information, visit Dallasisdallas.